“I swear colic will break me“. These were the words I wrote on Instagram at the peak of desperation with a colicky baby who had been crying for over 3 hours non stop. I want to talk about dealing with colic in babies, especially my experience as a mum because, my goodness, that was so tough. If you’ve ever cared for a baby with colic you know exactly what I mean. 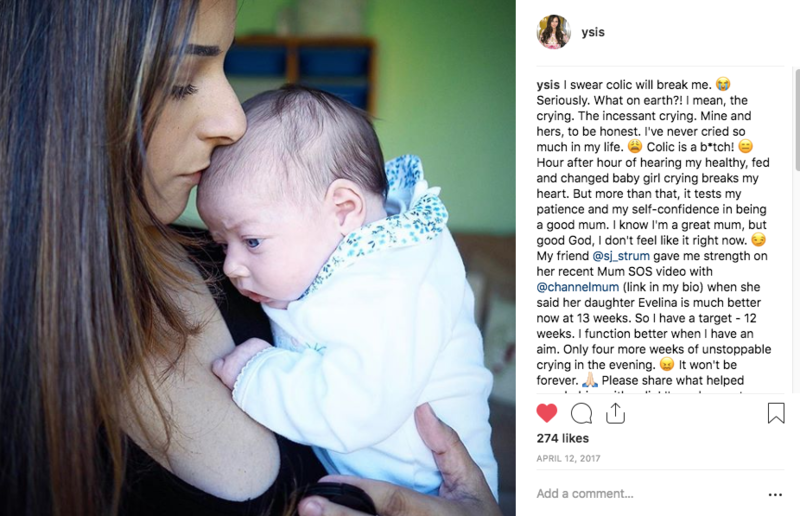 My first baby never had colic, so I was blissfully unaware of the emotional impact that colic has in parents until my second baby started the screaming fest at 6-7 weeks old. As far as I knew she was putting on weight, keeping her milk down, healthy and happy… except between 4pm-9pm most nights when she was just unconsolable, red and blotchy from crying for hours on end. As a mum, this was heartbreaking. I felt so powerless, unable to soothe my baby, trying everything and nothing – NOTHING – I did helped. Feeding? Nope. Changing. Nope. Picking up? Nope. Cuddles? Nope. Massage? Nope. Faster flow teats? Nope. Nope. Nope. My best just wasn’t good enough and it was soul-destroying! Midwives and Health Visitors all said “she will outgrow it“. “But when?“, I asked, and the answer was “all babies are different“. Ok then, I will just curl up in a ball with ear plugs in and disappear for the foreseeable future; that’s what I felt like saying every time someone said that to me, but in reality I just wanted to do something to help my baby; anything. In my latest video I talked about that emotional experience of having a colicky baby a bit more in depth, as well as what I did that helped, what I did that didn’t help and the things I wish knew. I also explained a bit about colic; what are the signs, symptoms and causes of colic, so please do check that video out to get the full picture. 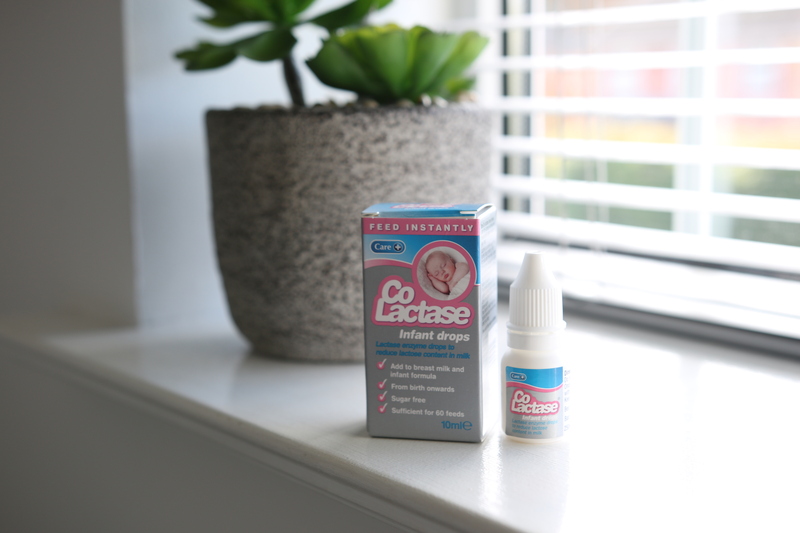 One of the things I wish I knew about when we were struggling with Isabella’s colic was Care’s lactase drops called Co-Lactase, which is an enzyme that helps break lactose down into more simple sugars so that babies can digest it easier whilst their digestive systems mature and produce more lactase enzyme by themselves. This lactase deficiency (transient lactase deficiency) is linked to colic symptoms. Using Care Co-Lactase may be a great idea to try if your baby is struggling with colic. All you do is add 4 drops of Care Co-Lactase to your baby’s milk (breast or formula) and feed as usual; no need to wait. It’s sugar free, suitable from birth and it can reduce the lactose in your baby’s feed by about three quarters! f you are at all concerned or have any questions, please speak to your doctor, health visitor or pharmacist for more advice. Boy, do I wish I had know about this 17 months ago! This is why I’m keen to spread the word about Care Co-Lactase; I want to reach out to as many parents as possible so that I might be able to help one or some of them discover a product they didn’t know about but ended up saving their sanity. I’ve already sent a few bottles to my sister who is due a baby next month! So yes, thankfully we are over colic but thinking about that time of our lives still makes me feel anxious. Colic – that’s another little curve ball that motherhood throws at us! Find out more about Care Co Lactase. This post is sponsored by Care. I was compensated financially for my time to write this post, however all views are my own.